Panama City, 23 July, 2018 - The CANTO conference and exhibition was held in Panama City, Panama from 22nd to 25th July 2018. 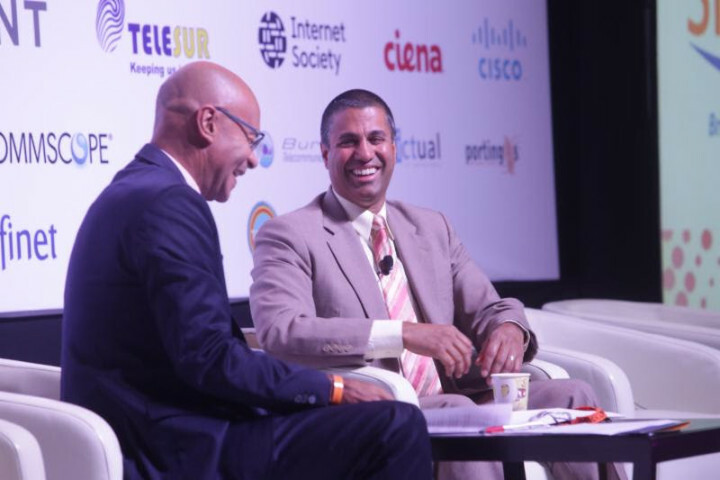 The Chairman of the FCC Ajit Pai provided the feature address at the opening ceremony. 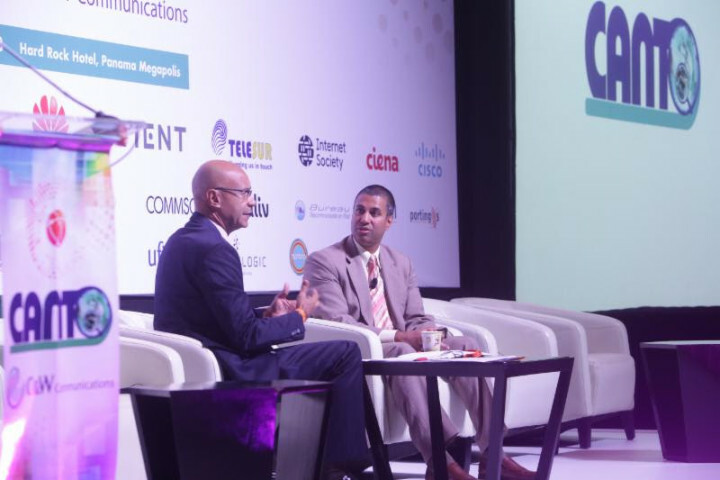 One of the main highlights during the conference was an interview between the Chairman of CANTO, Julian Wilkins and the FCC Chairman Ajit Pai. The Chairman of CANTO noted that many persons were interested in the rationale for the FCC changing its position with regard to net neutrality (better known as the FCC’s Restoring Internet Freedom Order). Chairman Pai gave a detailed response on the FCC’s rationale for making the change. Consistent with the FCC’s message, Mr. Pai spoke about the framework that will protect customers, promote better, faster Internet access and more competition. Julian Wilkins discussed the FCC’s commitment to both infrastructure policy and spectrum. With 5G being the biggest opportunity on the horizon, Chairman Pai provided the FCC’s strategy for 5G and further discussed the first deployments and applications in the United States. Where Infrastructure was concerned, Mr. Pai discussed development in his market such as the use of smaller cell sites as a key part of the 5G revolution. These developments he believed would make it easier for more persons to participate in the digital revolution. He expressed the view that the FCC was interested in creating “Resilient networks of the future versus the fading networks of the past”. When asked by the Chairman of CANTO, What is your biggest challenge? Mr. Pai’s response was “Closing the Digital Divide” and he listed as one of his major accomplishments to date as Copper Retirement. CANTO is recognized as the leading trade association of the ICT sector for shaping information and communication in the Caribbean. Founded in 1985 as a non-profit association of 8 telephone operating companies, CANTO has now grown to over 125 members in more than 35 countries. A Board of Directors appointed by the membership directs policy of the Association. This strategy is executed by the staff of a permanent Secretariat based in Trinidad and Tobago.